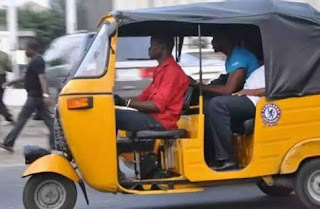 The Directorate of Security Services (DSS) in Benue State has arrested about 10 tricyclists (Keke NAPEP operators) in Makurdi, the Benue State capital. Secretary, Benue Tricyclists Association (BENTA), Stephen Vambe made the allegations while members of the association laid siege to the state government house to protest the arrests. According to him, as at the last count (last weekend), the security outfit had arrested about 10 of its members at the SRS junction and Apkehe Logo, all in Makurdi metropolis. Vambe explained that since the former BENTA chairman left the association and moved to the Tricycle Owners’ Association of Nigeria (TOAN) he has used the DSS in the state to intimidate its members to join him in TOAN. He said that BENTA was an association duly registered by the state government and they did not wish to move to TOAN, a situation which has brought the association members and Ofega at loggerheads.